nearest port before you make the payment. We do 3 -7days delivery to the port NINGBO after the payment . 2) As usually .ship to Asia15 working days ,ship to West Euro, North America around 20-30 working days, ship to South America,Mid-East,East Euro,Africa around 20-30 working days. 3)Any question, please contact with us free by E-mail or phone. 1. We have very small MOQ . If you need me to check the shipping cost for you please advise your nearest local port . 2.Our delivery time : 30 days after deposit . 3.Our payment terms : 30% TT in advance, balance against the bill of loading . 1: Green Product,UV-Resistant,Weatherproof and colorfast. 2: Excellent Handweaving Technique with fashion design. 3. color and size are optional,it also can be according to the design and requirement of customers. 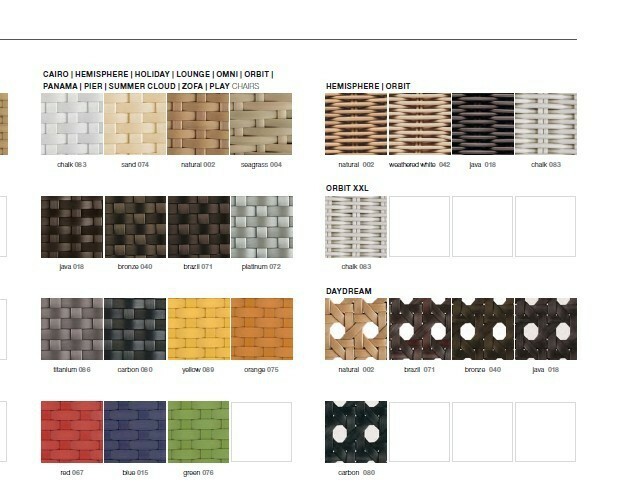 Sigma company , as a professional supplie of outdoor furniturein China. Our products have a good fame in the international market. Sigma believes in the value of simple leisure .We design and manufacture high-end outdoor furniture for commercial ,hopitality,residential,and insitutional applications . end users ,wholesalers ,retailers ,landscape architects and other design professionals . and our fully intergrated operation provides strict quality control and cost effective solutions . We have exported to North America ,South America ,Australia , Europe, and we ready to be your reliable business partner from China. Welcome to contact us with any of your questions!